The Maritime Foundation has launched its latest short documentary film – SHESCAPE, looking at the opportunities for women in marine-related occupations. 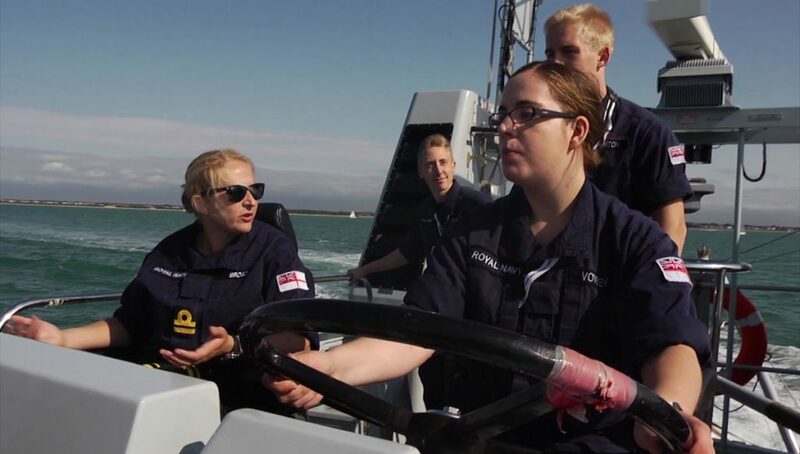 The film, which premiered at the Maritime Media Awards 2016 was produced by the Foundation’s film production company Maritime Films UK and sponsored by Seafarers UK seeks to highlight the low representation of women seafarers and technical and engineering roles – 2% of 1,250,000 seafarers and below 4% in engineering. A lack of role models at the top hinders progress towards a more gender equal workplace, but things are changing – the appointment of Michelle Howard to Four Star U.S. Navy Admiral in June 2016 represented a trailblazing accomplishment for women in leadership roles. In the Royal Navy some 30% of all ships’ crews are now female, with new provision to include billets on submarines. SHESCAPE is available on YouTube (https://www.youtube.com/watch?v=ThCniUZcYxo) to a worldwide audience and on DVD from the Maritime Foundation aims to serve as a promotional tool that can be used to help the marine industry drive towards a more gender equal working environment. Seafarers UK is a charity that helps people in the maritime community, by providing vital funding to support seafarers in need and their families, by giving money to organisations and projects that make a real difference to people’s lives across the Merchant Navy, Fishing Fleets, Royal Navy and Royal Marines. MFUK is a specialist independent film production company for the marine and maritime industries, offering a dedicated service to all across the sector, from ports to ship brokers, shipping lines to maritime charities.